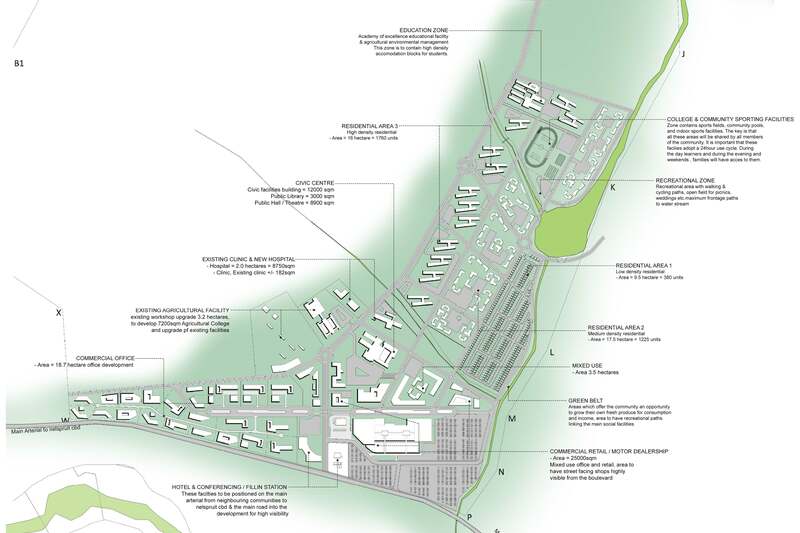 An urban design concept for the Mpumalanga Economic Growth Agency (MEGA), the proposed Tekwane Park is situated on a 257.9 ha land parcel in the Kanyamazane District of Tekwane, Nelpsruit. 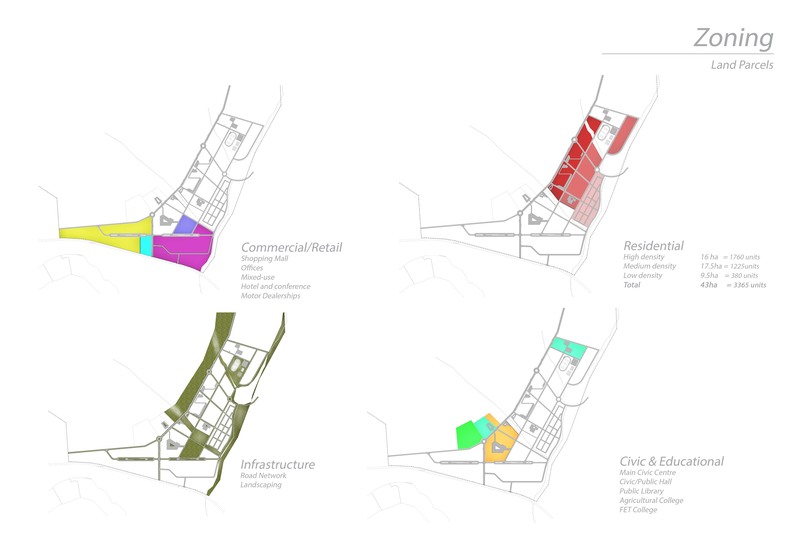 Oriented around a civic centre comprising a Civic Facilities Building, Public Library and Public Hall, the proposal included retail, commercial, mixed-use, residential, hotel and conferencing, and educational facilities. 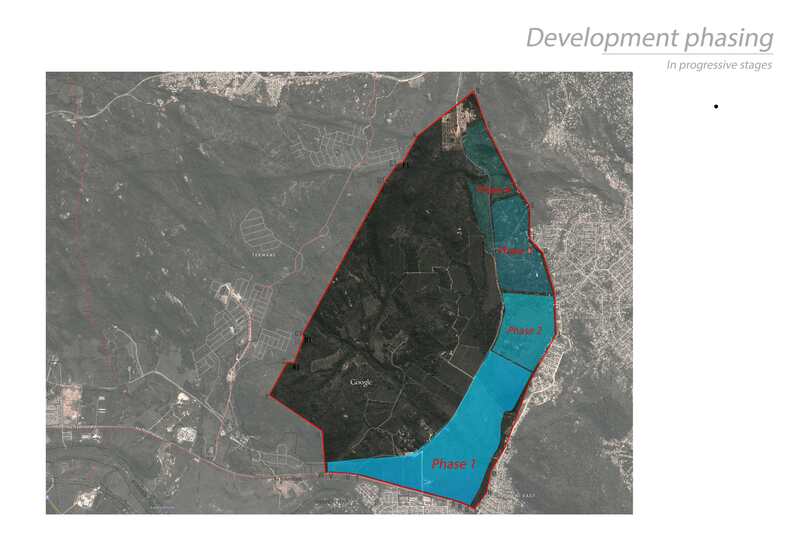 Adjacent to an existing dam and wetland, the project also proposed the development of a green belt, recreational zone and community sporting facilities.